Whether you’re looking for fun in the sun with the kids or a relaxing oasis to kick back in after a long day, we make dreams a reality. With pools designed to fit nearly any landscape and products made to upstand our harsh Wisconsin winters; when you choose Wolter Pools, you’ll receive unparalleled product quality and superior customer service. For over 50 years, Wolter Pools & Spas has been delivering on our invitation to “experience relaxation.” Discover for yourself the Wolter’s difference. Let’s find the right pool, spa, or sauna together… and one built for our harsh winters! No 800 numbers or email blackholes at Wolter’s – just family taking care of family. Need a little (or big) something for your oasis? Look no further. Beyond a complete maintenance stock, we’ve got the fun toys and unique accessories to take it to the next level. Live the Dream. Get Inspired. 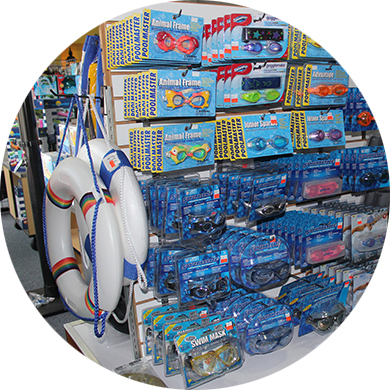 Come see our wide selection for yourself and put our “Waterplay Knowledge Experts” to the test. Let us deliver the goodies to you. At Wolter’s, we design, build and service pool, spa and sauna escapes of unparalleled quality with a passion and superior customer service. Russ Wolter passed away July 31st 2016 surrounded by his loving family. Russ and Pat, you both have made huge impacts on not only your own children’s lives but also have touched so many others from employees to customers! You both make them all feel like they are part of the family and that says alot for the type of people you are! We will miss you Russ but your memory will stay alive and thrive in all those who knew and loved you. Rest in peace.